We are pleased to announce that Mollie Carmichael has joined the firm’s Costa Mesa, CA office as a Principal in the Advisory Practice. In her role, Mollie will conduct market studies nationally, analyze prospective home buyer surveys, and help clients extend their thinking beyond standard demographic silos. 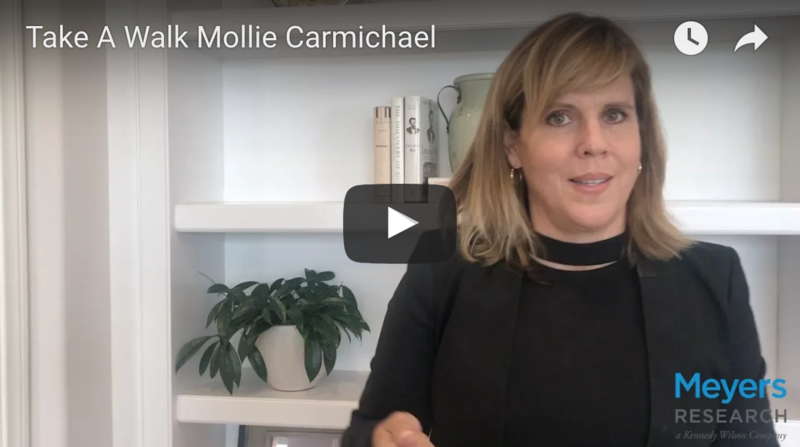 Mollie is a leading strategist with a career spanning 25+ years as a builder, developer, and consultant in the residential real estate industry. She is passionate about providing guidance to clients to optimize financial results. Her experience includes conducting markets studies throughout the country, land acquisition strategies, business planning for future growth, competitive product research, and even tactical marketing planning and design. Most notably, she has been a thought leader with consumer insights and product research throughout the nation. Since 2011, Mollie led one of the largest consumer and product survey efforts for the new home building industry with 10,000 to 20,000+ home shoppers. The survey effort revealed what consumers value and what they will pay for in their next community and home. Prior to joining Meyers Research, Mollie was a Principal with John Burns Real Estate Consulting for almost 10 years. In addition, Mollie served as Vice President of Strategic Marketing for Lennar and Kovach Marketing, Regional Vice President of Strategic Marketing for Pulte Homes/Del Webb for the California Region, and Vice President of Residential Product Planning for The Irvine Company.